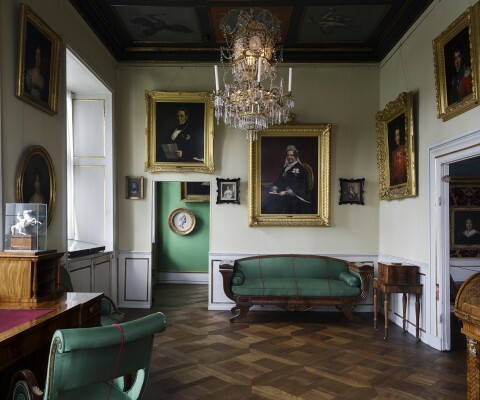 ROOM 17: This south-east facing gable room, together with the adjacent Frederik VII’s Room, acquired its form and its panels when Frederik IV refurbished Rosenborg’s first floor. 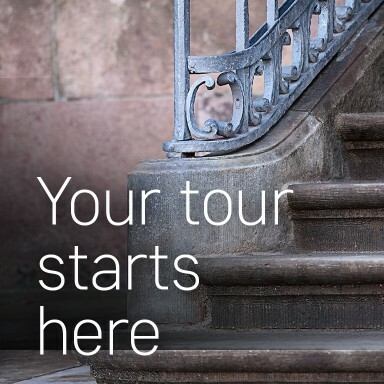 The refurbishing took place at the beginning of the 18th century. The ceiling is part of the old ceiling from Christian IV’s time, as it is in Frederik IV’s Room. Today the room contains pictures and curios items from Christian VIII’s time, the final years of Absolutism in the 1840’s. 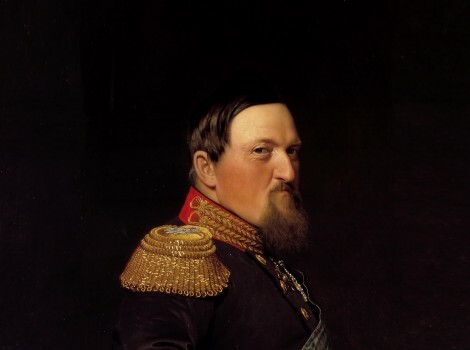 However, several objects originate from the King’s youth, including the short period in 1814 when he was King of Norway. 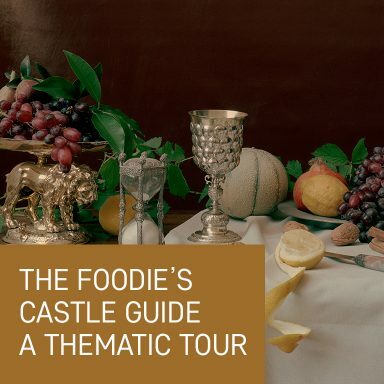 The furniture in particular is influenced by bourgeois late classicism. 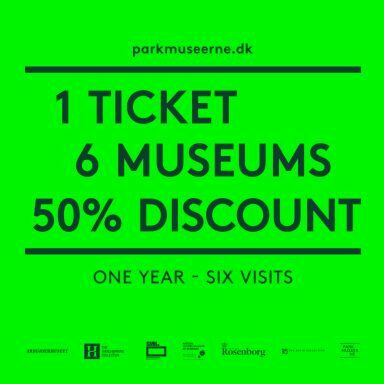 Danish art and literature went through a Golden Age during the first half of the 19th century. An important current was the so-called Biedermeier style, where daily life and intimate things became central. 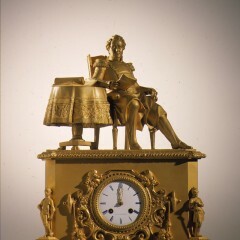 A fine example is the mantel clock with a bronze figurine of Christian VIII. 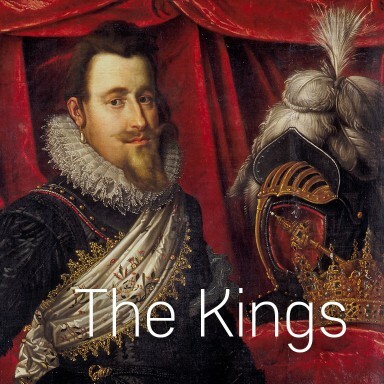 The King sits in a chair, relaxed – in obvious contrast to the very stiff royal portraits of earlier times. 1700. Christian VIII; painted by W.N. Marstrand 1843. 1701. Charlotte Frederikke. Christian VIII’s first wife and Frederik VII’s mother. By unknown artist. 1702. 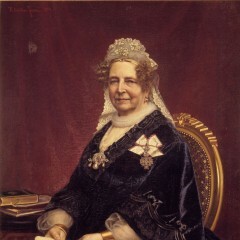 Queen Caroline Amalie, painted by H.Chr. Jensen 1879. 1703. Christian VIII. Drawing by Mlle Romili. 1704. Queen Caroline Amalie. Drawing by Mlle Romili. 1705. Sofa with mahogany carving. 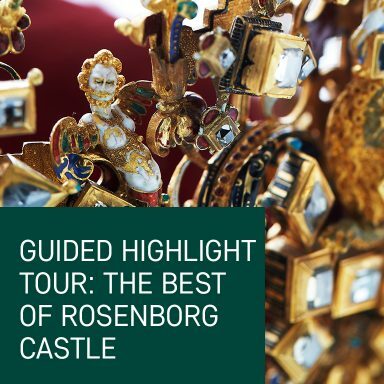 Made for Christiansborg Palace, c. 1840. 1707. Cabinet for Christian Horneman’s collection of miniatures which Christian VIII bought from the artist. 1708. Christian VIII. Half-length, from c. 1812. Painted by C.G.Kratzenstein-Stub? 1710. Vase of porcelain painted with a view of Rosenborg around 1850. 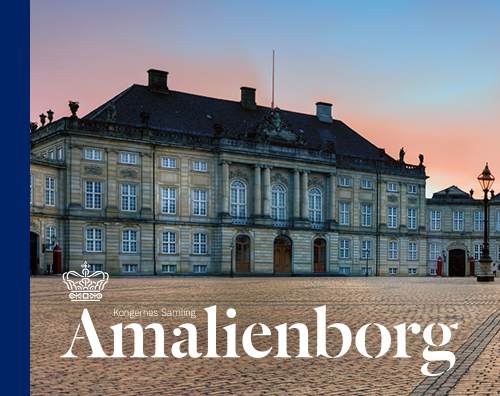 A bequest from the Dowager Queen Caroline Amalie to Kretz, the steward of Amalienborg Palace. 1711. 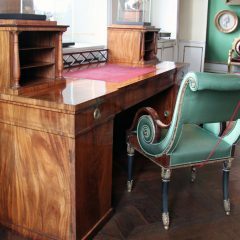 Writing desk of walnut, inlaid with coloured bone, mother-of pearl, and metal. Made by Mathias Christian Preisler c. 1780. Belonged to Queen Caroline Amalie 1712. 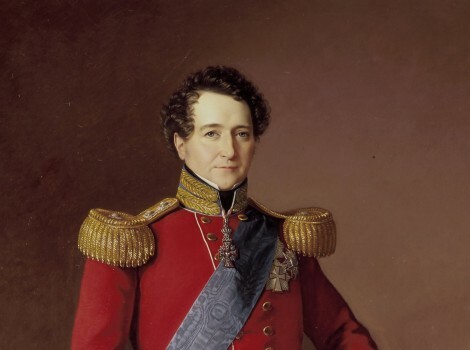 Prince Frederik, the Heir Presumptive, oval half-length painting by unknown artist; from 1802-06. 1713. Christian VIII. Pastel, signed: (C.) Horneman 1810. 1714. 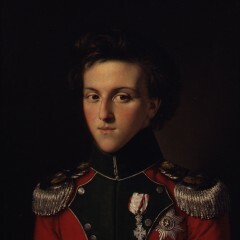 Frederik VII as a young man, signed: (C.A.) Jensen 1824. 1715. Queen Caroline Amalie. Marble bust, made by F.C. Stramboe,1870. 1716. Double portrait of Christian VIII and Caroline Amalie, enthroned and wearing coronation robes. Sketch for J.D. 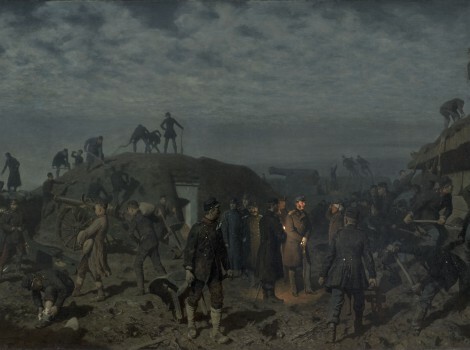 Court’s large painting, now at Christiansborg Palace, 1841-42. 1717. The coronation of Christian VIII. Drawing by I.V. Gertner. 1718. 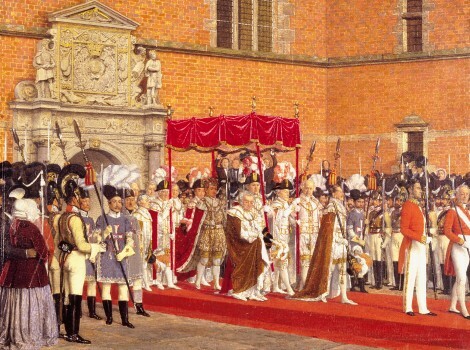 The anointing of Christian VIII in the chapel of Frederiksborg Castle, 28th June 1840. Painted by I.V. Gertner. 1720. Mantelpiece clock with bronze statuette of Christian VIII. Signed: A. & W. Jacobsen. 1721. Christian VIII. Watercolour by C.E. Sonne, after coronation picture by Eckersberg. 1722. Queen Caroline Amalie. Drawing from the anointing of the Queen; by I.V. Gertner. 1723. 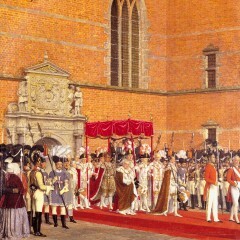 The coronation procession of Christian VIII across the courtyard of Frederiksborg Castle, 28th June 1840, painted by I.V. Gertner. 1724. Christian VIII. Marble bust, made by F.C. Stramboe. 1725. Heiress Presumptive Caroline as young, painted by F.C. Grøger. 1726. Heiress Presumptive Caroline’s study at Bernstorff’s Palace. Coloured drawing, signed by Andreas Juuel from 1850s. 1727. 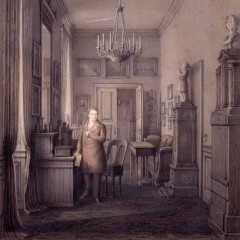 Christian VIII at his desk in his study at Amalienborg. 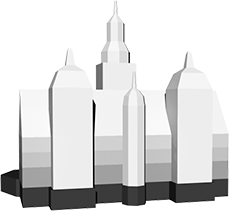 Drawing signed: Chr. Hetsch 1881. 1728. Mahogany writing table with gilded bronze fittings from Christian VIII’s study at Amalienborg (See no. 1727). 1729. 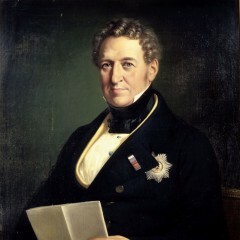 Christian VIII. Equestrian statuette of silver, made by Adelgunde Herbst. 1730. Silver jewel box, French work; presented to Queen Caroline Amalie by Mr. Donner, titular Councillor, Altona. 1731. Horseman. Ivory figurine from Christian VIII’s private collection. 1732. Queen Caroline Amalie, painted by F.C. Grøger. 1733. 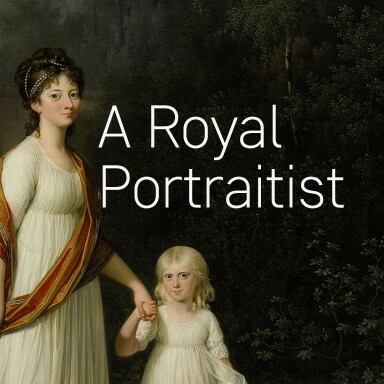 Princess Charlotte, Frederik VII’s mother; painted by F.C. Grøger. 1734. Two mahogany armchairs with gilded carving. Belonged to Landgrave Vilhelm of Hesse, North Germany, c. 1820. 1735. Necklace of gold with blue enamel. 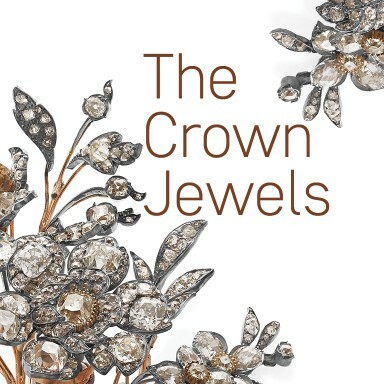 On the clasp, Princess Charlotte Frederikke’s monogram. 1738. Gold seal with cornelian plate; in the coat-of-arms the Norwegian Lion is seen in the top field. Used by Christian VIII as King of Norway 1814. 1739. Three seals used by Christian VIII. 1740. Clock with enamel, made in Hanau and presented, in 1794, to the eight year old Christian (VIII). 1741. Child’s spoon of silver gilt and silver tablespoon (master: A. Michelsen); used by Christian VIII for medicine, shortly before his death. 1742. A Norwegian bank note, Christiania 1814. 1743. Norwegian chamberlain’s keys from 1814. 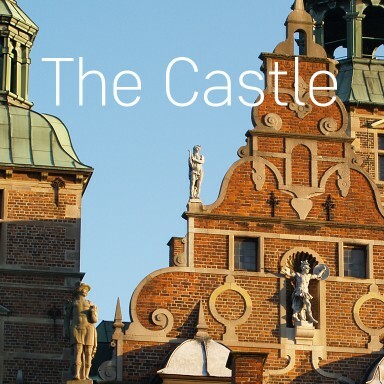 The years towards the middle of the 19th century became increasingly marked by the national conflict between the Danes and Germans in the duchies of Schleswig and Holstein. 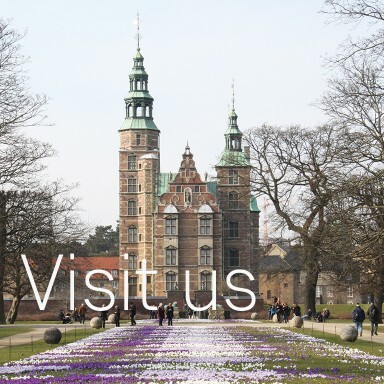 It culminated in the Three Years' War, or the First Schleswig War in 1848-51.